At Mossley Dental Care we offer the latest tooth whitening techniques in a safe and comfortable way. The most common request we receive from our patients is for a brighter whiter smile. At Mossley Dental Care we offer the latest teeth whitening techniques in a safe and comfortable environment. Discoloured teeth are the bane of smokers, red wine buffs, tea and coffee drinkers. Don’t despair: safe, effective and affordable remedies are only a smile away. Home tooth whitening – Using laboratory made custom fitted bleaching gum shields we show you how to apply high quality tooth whitening gel to your teeth which will gently and safely lift the colour in about two weeks. The dentists at Mossley Dental Care have researched the market and found tooth whitening products with a proven track record in terms of both efficiency and safety. Internal Whitening – sometimes if a single tooth is dark due to trauma or nerve damage then whitening gel can be applied inside that tooth so that it can whiten from the inside out. This works well but each case is different and we need to see you for an initial consultation to determine if you are suitable. The dentists at Mossley Dental Care are experienced in teeth whitening having completed many hundreds of cases and at your consultation we can discuss which treatment best suits your needs. How much is tooth whitening? We have different prices for different types of tooth whitening. But prices start from about £300. Usually we recommend custom fitted tooth whitening trays which you wear at home for a short time, because research has shown this to provide the best results. In addition to this if you have one dark tooth due to a previous injury or root canal treatment (which can alter a tooth colour) we are experienced in the internal/external whitening technique. 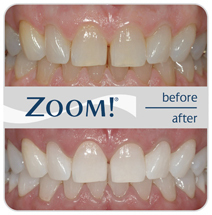 Currently we offer free tooth whitening for our adult orthodontic patients. Do I get it free with orthodontic treatment? This is subject to change but currently all adult orthodontic patients at the practice are entitled to free home tooth whitening at the end of their teeth straightening treatment. What is the best tooth whitening product? 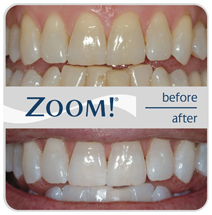 At Mossley Dental Care we have carried out hundreds if not thousands of teeth whitening procedures. We use only the most effective tooth whitening products. Currently for home tray whitening we use NiteWhite or DayWhite which improves the surface luster of the enamel while it whitens. The gel contains potassium nitrate and amorphous calcium phosphate which make the tooth whitening process more comfortable and reduces sensitivity. In addition to this, NiteWhite and DayWhite come in a dual barrel syringe which delivers a fresh mix every time it is used which preserves the potency of the gel. We also use various other types of tooth whitening products depending on the requirements of each individual case.